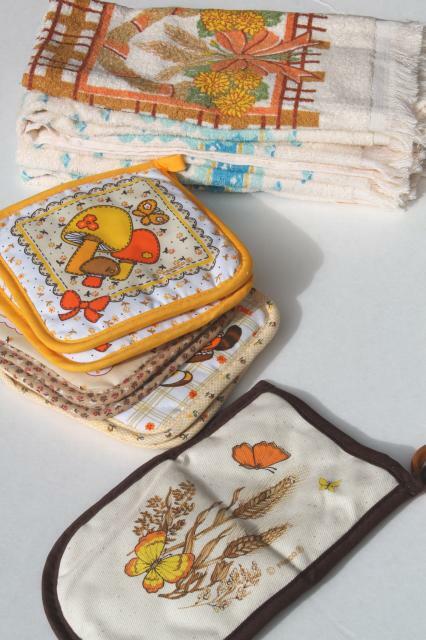 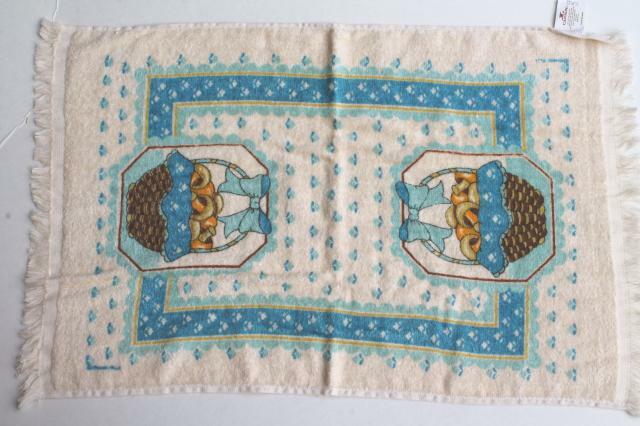 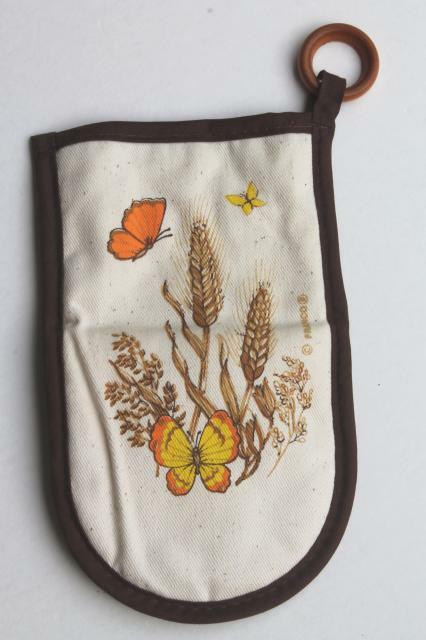 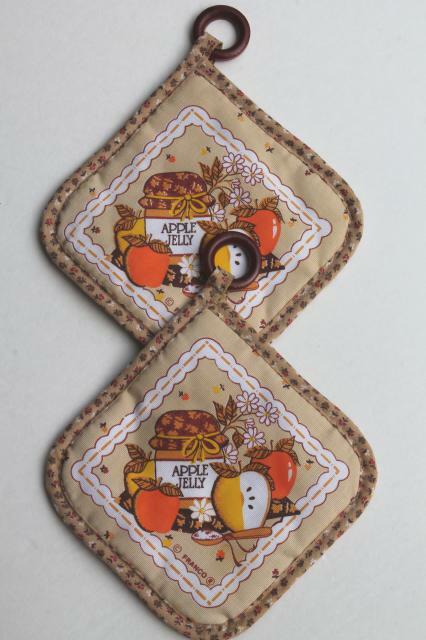 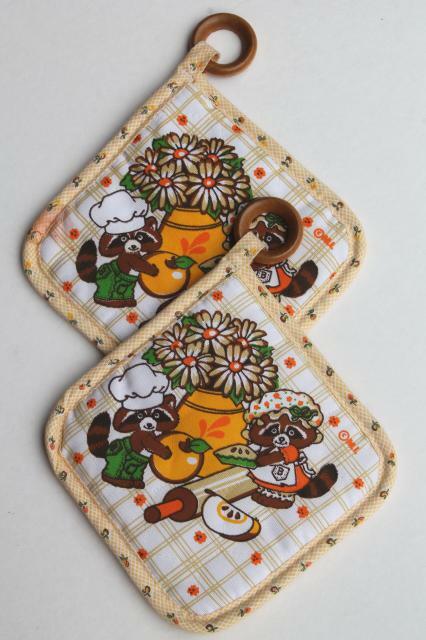 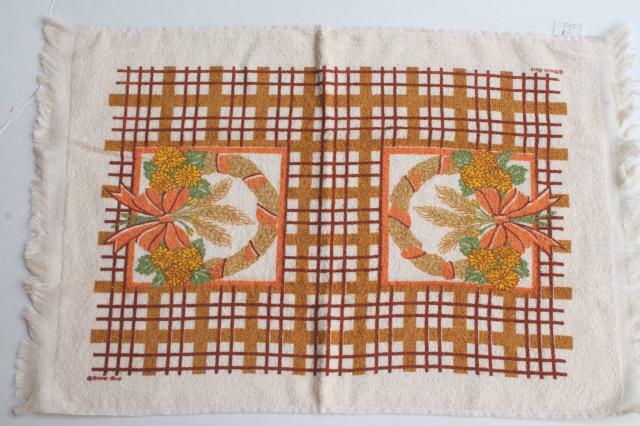 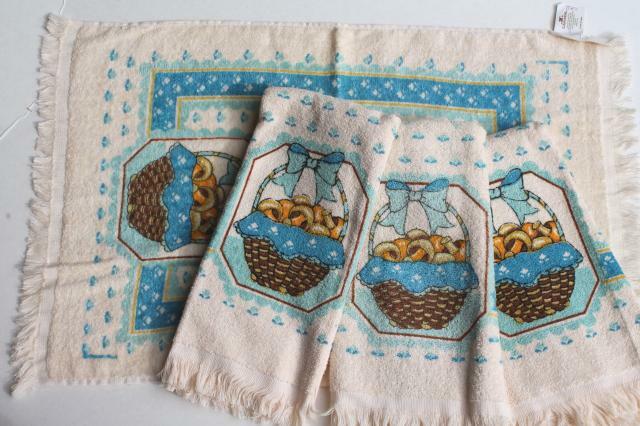 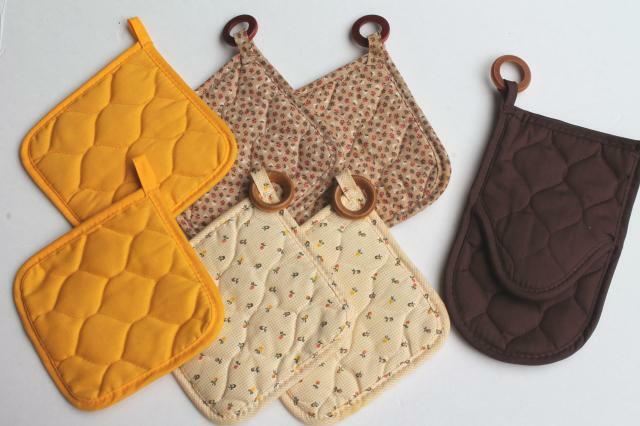 Lot of unused vintage kitchen towels and pot holders with some great retro prints (love those raccoons! 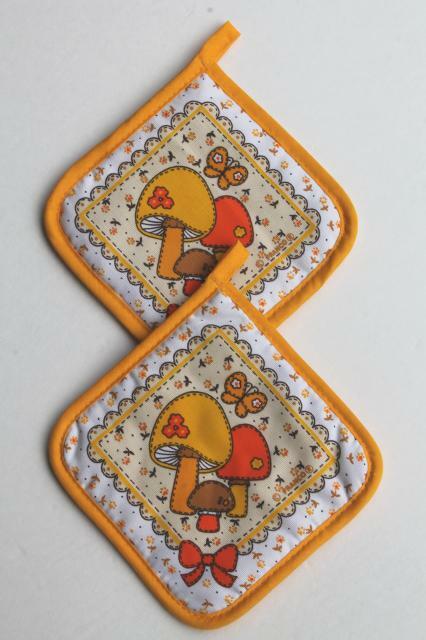 and the mushrooms!). 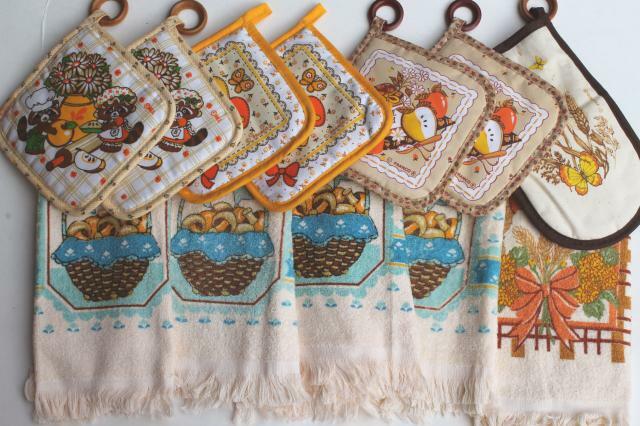 The potholders are cotton/poly blends, and the dish towels are all cotton.